Android 4.4 KitKat based ShoreDroid custom ROM is based on stock UI of Android 4.4 and CyanogenMod 11. The ROM is stable and pretty fast. 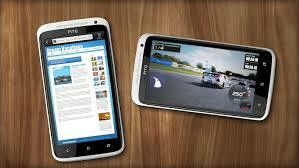 Here is how to update HTC One XL to Android 4.4 KitKat based ShoreDroid custom firmware! Create a backup of all important data in your HTC device. Download and install USB drivers for HTC One XL in your computer. Ensure that your HTC device carries more than 80% of charge. Files required: download the ShoreDroid Android 4.4 KitKat and Google Apps Package: ShoreDroid & Google Apps. Save both files on PC. Connect your HTC One XL to your computer using USB cable and copy the downloaded files to the memory (root folder) of your HTC device. Disconnect the connection with PC and turn your HTC One XL off. Press and hold Volume Down and Power buttons to get in the Bootloader/Fastboot Mode. Once in the Fastboot, on your computer navigate to android-sdk-windowsplatform-tools directory and press shift and right click to open Command Prompt. fastboot flash boot boot.img | press Enter. fastboot reboot | press Enter. On your HTC, get into Bootloader mode by using volume keys to highlight and power button to select. One in ClockworkMod recovery, perform wiping tasks: select wipe data/factory reset > Yes. It will take a few minutes; once done, select wipe cache partition. Next tap on Advance > wipe Dalvik Cache to wipe Dalvik cache data too. Return to main and select install zip from sdcard followed by choose zip from sdcard. Locate the Android 4.4 KitKat based ShoreDroid custom ROM file copied earlier and select it. Tap on yes to confirm installation and wait for the ROM installation to be completed. Once installation process is finished successfully, repeat the above step but choose GApps file instead to install the Google apps package on your HTC One XL. Return to main recovery menu now and select reboot system now to boot up into the newly flashed Android 4.4 KitKat based ShoreDroid. First boot takes a good few minutes, so kindly be patient.